Race winner Stephen Jelley will return to the Dunlop MSA British Touring Car Championship this season, driving a Team Parker Racing Ford Focus ST after a seven-year sabbatical. The Leicester driver contested two seasons of the BTCC in a WSR BMW 320si in 2008 and 2009, and took two victories, both at Rockingham. Since then, Jelley has competed in GTs and the Porsche Carrera Cup GB. Jelley drove for Stuart Parker’s team in the Porsche contest last year and was fifth in the standings. He will return to the tin-top top flight in the car previously used by Alex Martin. Jelley said: “It was always my aim to come back to the BTCC – I didn’t want to leave, but the finances weren’t there. “Team Parker Racing can have a long future in this category and I want a long future here too, so we are looking to build together. I haven’t raced a front-wheel-drive car before so there will be a big test programme ahead of the season to get me up to speed. 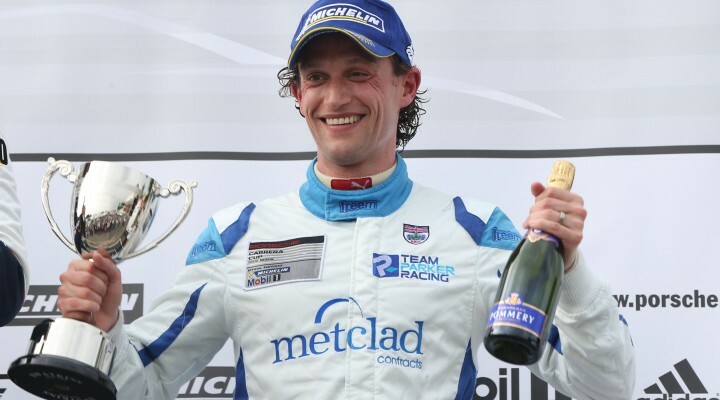 Team boss Stuart Parker said: “We are thrilled to have Stephen with us – he has driven for the team for four seasons in the Porsche Carrera Cup in his career and he is part of the fixtures and fittings at the squad. “We have had two great years with Alex, who was learning all the time. Stephen is a proven race winner at this level and, although he will be getting to grips with front-wheel-drive for the first time, he can help us move forward.